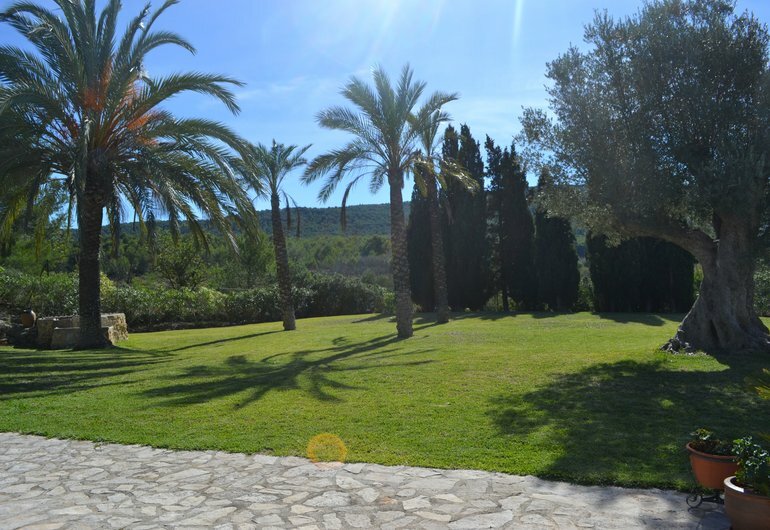 This refurbished in 2009, this property is just 3 km from the famous Arenal beach of Javea, with its many restaurants, bars and all amenities. This Villa has a beautiful traditional Spanish Finca style with a modern look due to the use of stone and wood. The Villa has a large open plan lounge and dining room and 4 spacious bedrooms all with internal wardrobes. There are 2 bathrooms and 2 bathrooms for the guests. There is a beautiful open kitchen and down a wine cellar. The house is situated on a double lot so there is room to yet another house to build.